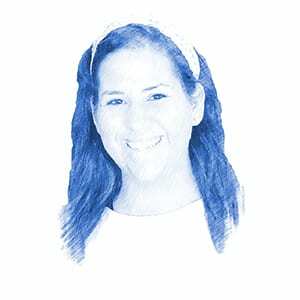 Hoping For the Best, Preparing for the Worst: IDF Faces Prospect of War in the North - Breaking Israel News | Latest News. Biblical Perspective. Israel’s goal of peaceful co-existence with its surrounding neighbors has not prevented the IDF from taking the necessary steps to prepare for a potential war. Tensions have been rising on Israel’s northern borders with Syria and Lebanon over the past few weeks. On February 10, the IDF shot down an Iranian drone, which had entered Israeli airspace in a clear violation of Israel’s sovereignty. In response to this escalated act of aggression by Iran, the IDF launched several attacks against targets in Iran and Syria. Prime Minister Benjamin Netanyahu recently visited the northern border, along with top security officials. “Our face is turned toward peace, we are ready for any eventuality, and I don’t suggest anyone test us,” Netanyahu said following the visit. Numerous IDF officials have been vocal about the high likelihood of an outbreak of war on Israel’s northern border, even within the year. This conflict will likely involve a number of neighboring rogue states, including Lebanon, Syria and Iran. This multi-front war situation will be felt across every branch of the military and every citizen of Israel, according to IDF officials. With this foresight, the citizens of Israel, and the IDF are hoping for the best, but preparing for the worst. “The officers and commanders of the IDF are responsible for providing its soldiers with military tactics and training while LIBI USA is responsible for providing the soldiers with welfare support, as well as social and financial assistance,” Dr. John A.I Grossman, Chairman of LIBI USA, told Breaking Israel News. The month of February was spent by many IDF divisions and brigades participating in large-scale military exercises in northern Israel. The Galilee Division of the IDF underwent extensive training in preparation for a possible conflict with Hezbollah on the Lebanese border. It is believed that the terrorist group Hezbollah possesses an arsenal of over 100,000 rockets, which have been financed and supplied by Iran. “Conscripted soldiers, along with reservists, took part in the exercise. They practiced a rapid call up for reservists, as well as operation capabilities and readiness to fight in Lebanese terrain,” the Israel Defense Forces said in a statement. “We will continue to train and prepare to ensure the security of the residents in this region,” Col. Manny Liberty, Commander of the 769th Brigade, told Times of Israel. Preparation for a war in 2018 dates back to September 2017, when tens of thousands of IDF troops participated in a 10-day mock-war against Hezbollah. This exercise called “the Light of the Grain” was the largest military exercise carried out in Israel in the last 20 years.